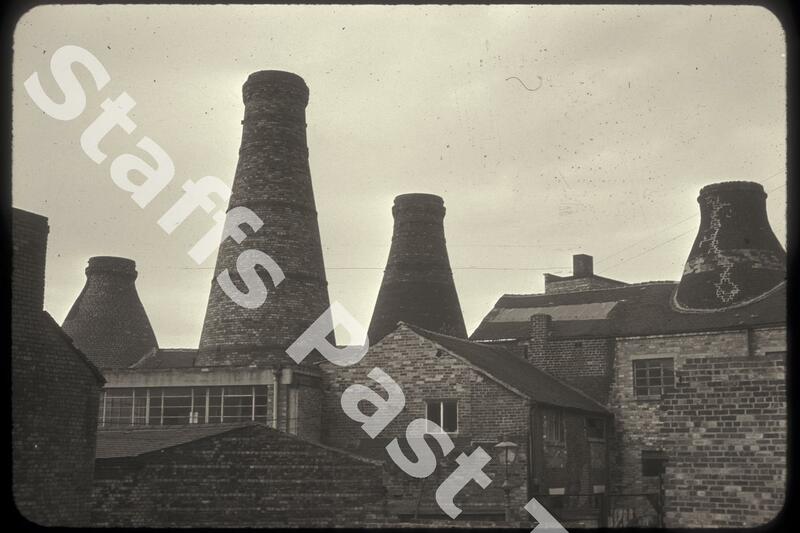 Description:This is the Enson Pottery works sited between Chelson Street (formerly Bagnall Street) and Short Street in Longton. The works is just off Normacot Road. 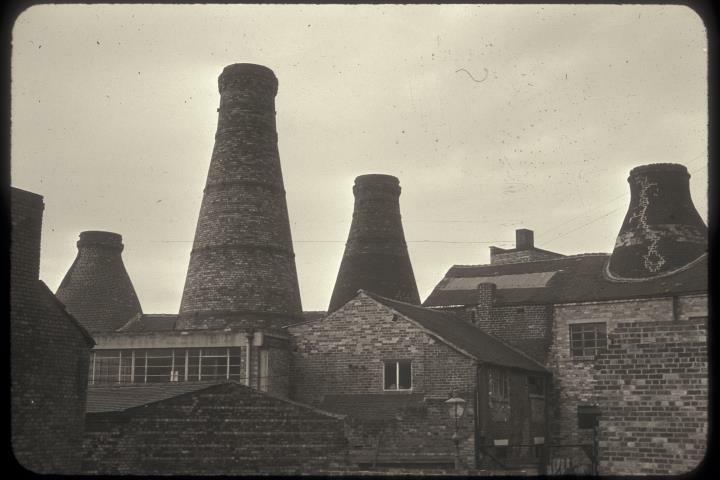 The buildings in the photograph date from the middle of the 19th Century are known as the Enson Pottery, but works on this site were also known as the Dresden Works (operated by John Proctor from 1843) and Alma Works operated by Middleton and Hudson from the 1870s and Delphine Works from 1879. They became the Enson Pottery in 1953 when it was operated by Spencer Stevenson & Co.
Spencer Stevenson specialised in domestic bone china and hotelware. Production had ceased by the mid 1960s and the works were run down and largely derelict by the 1990s. It was purchased by the City Council in 1999 and has the site has been renovated to create a Centre of Refurbishment Excellence (CORE) to be used for business, commerce and conferences. Four bottle ovens and a two storey range are grade II listed buildings and form the core of the heritage centre.